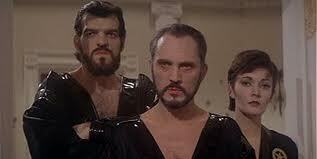 At the beginning of the first Superman movie, three rebels were cast off from the planet Krypton. They are sentenced to eternal imprisonment, but swear vengeance on Superman’s father and his next of kin. 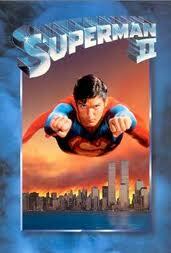 In this movie they escape, come to Earth, take over the world and try to extract vengeance on Superman. As remnants of Krypton, they are toxic to Superman. In the meantime, Superman falls in love with Lois Lane, who is finally figuring out that Clark Kent and Superman might just be the same person. 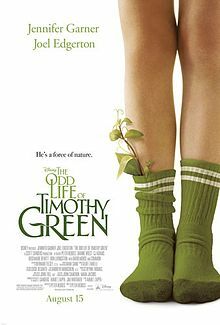 The adoption connection in this movie is very minimal, but still tangible if you watch it right after the first movie. In my last review, I wondered why Superman’s birth mother did not seem to actively participate in the plan for his safety. In this movie, she does. According to Wikipedia, this came about because of politics between actors (or basically, a rift with Marlon Brando), but it still does provide an element of Superman’s story that was lacking in the last movie. 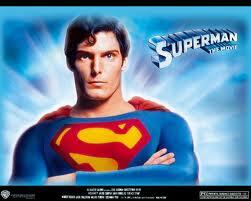 è Superman’s mother was relatively silent during the planning for his safety in the first movie. In this movie, we see her love for her son. è Superman has been hiding his true identity behind the alias and persona of “mild-mannered Clark Kent.” In this movie, Lois discovers who he really is, but eventually forgets. è In the first movie, Jor-El told Superman that he is “not one of them.” In this movie, Superman’s mother suggests that Superman needs to forsake his specialness and to become mortal like Lois if he is to be able to spend his life with her. An adoptee could resonate negatively with these statements, and the message from Superman’s parents seems to be: you’re not like them, and if you want to be like them, you can’t be like us. Both / and is healthier and more accurate than either/or. Later, Lois also suggests that it must be “confusing” for Clark to be both Clark and Superman; he expresses that it’s not. Although he is comfortable owning all of his identities, his birth parents and Lois assume it is impossible. Even Clark, in embracing both roles, shows that he has not integrated them: he is Superman to some people, Clark Kent to others, and Kal-El to still others. It’s unfortunate that we never really see Clark/Superman/Kal-El develop one cohesive identity. è This one probably should be used sparingly; the concerns seem to outweigh the positives. The first fifteen minutes or so might be helpful, if shown right after the first movie. If you do decide to watch this movie, there are some positive conversations that could stem from it. o Do you ever feel like you are expected to act differently around certain people? Who? And, what’s different from person to person? o In the last movie, Jor-El reminded Superman to always cherish his special heritage; Superman did remember his heritage, but never really integrated his identities. He lived a very compartmentalized life. Does your child seem to be integrating all elements of his or her identity, or is stuff pretty compartmentalized? Their answer to the first question might provide some insight into that. What are you doing that impacts their compartmentalization? What can you do to help? Like Adoption At The Movies on Facebook to know when new reviews are posted! You write such interesting reviews Addison - I love how talking about how Superman compartmentalized his different identities could help a child to integrate theirs. Thanks so much, Jody. 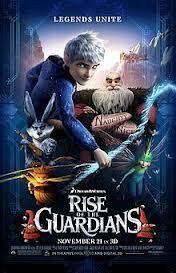 Your comment just reminded me about the Russian nesting dolls scene in Rise of the Guardians. I wonder how many other movies highlight compartmentalized identities.